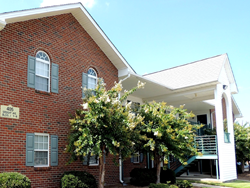 Prudent Growth Partners has acquired the 110-unit Georgetowne Apartments in Tarboro, NC in a $3.9 million transaction - its first buy in Eastern Carolina. "We are excited to be adding to our growing portfolio with this purchase. It is our first buy in the eastern part of the state and hopefully not our last"
Prudent Growth Partners, LLC, a real estate investment company based in Chapel Hill, NC, has made its first acquisition in the eastern part of North Carolina. Georgetowne Apartments - a 110-unit apartment community located at 405 Speight Ave, Tarboro, NC, was purchased by Prudent Growth earlier in the month for $3,900,000. "We are excited to be adding to our growing portfolio with this purchase. It is our first buy in the eastern part of the state and hopefully not our last," says Tom Hahn, President of Prudent Growth Partners. "We are actively looking for more properties like this in the eastern part of North Carolina and are definitely in 'acquisition mode'." Asked why he chose the property, Hahn says, "It is very well maintained with many long-term residents. We are hoping to be able to make some smart updates and continue to operate the community for many years to come." Prudent Growth Partners, based in Chapel Hill, NC, is focused on acquiring garden style apartment communities, typically with 75 to 200 apartments, as well as neighborhood retail centers. "We really like properties that are well managed, well positioned, and which provide some nice upside for our investors over the long term." Prudent Growth Partners has a growing network of accredited investors who participate in each transaction. "We structure each transaction to provide solid cash flows to our investors each quarter - typically at least an 8% annualized return - as well as long-term upside through the appreciation of the property. It is a completely passive investment for the investor and provides great returns and a nice hedge against future inflation." The transaction was brokered by Nathan Vaughan of Waterstone Multifamily Group.